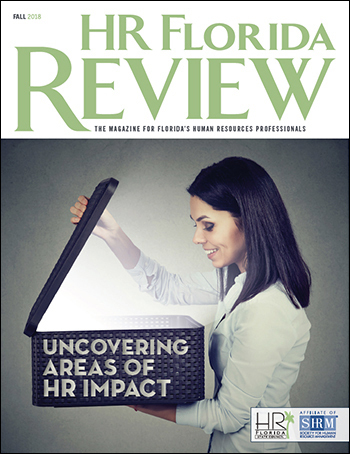 An article written by CFS's Dr. Karen Berkman and Scott Fontechia has been published in the Fall 2018 edition of the HR Florida Review, a magazine of the HR Florida Council, Inc. According to the article, Neurodiversity: Uncovering a Hidden Resource to Maximize Business Success, "Neurodiversity is a term that describes people who think differently, see the world from varying perspectives, or who pick up the details of a task that others may have missed. We often use labels such as autism, ADHD, or Dyslexia when describing this group of individuals, and oftentimes we completely miss seeing their assets because of the notions we developed through myths, media, and fears. However, when you look beyond the surface, you will find capacity waiting to be discovered."